If you live in a dry state like Texas, Arizona, or Utah, you have probably had the delight of dealing with prickly stickers in your lawn from time to time. If you have fallen victim to thorny stickers taking over your lawn, here are a few ways to get rid of them. First, What are they called? Generally, these are all referring to the same nasty weed. 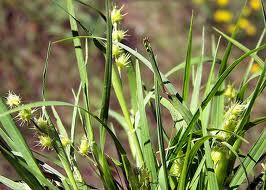 They thrive in the heat and are prominently found in Bermuda and St. Augustine lawns. They struggle with competition. 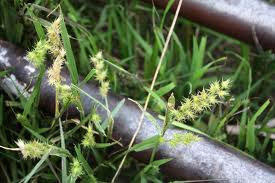 If you have a healthy, thick, and prosperous lawn, the burrs have a hard time spreading. They don't like to be watered very much and they can't stand healthy lawns. So set your Orbit Sprinkler Timer to run the sprinklers at least once a day. Get your grass growing! The burrs will hate it! The thorns, or burrs, are the seeds. If you have pets tramping all around your yard carrying the seeds from one area to another, they are literally spreading the mayhem. Keep the pricklies/seeds controlled as best you can. Their roots do not go very deep.If your lawn is not completely overrun just yet, take the time to pick the sand burrs by hand. They come out really easy. I've done the research and the following is the order in which you should carry out your exterminating efforts. Mow your lawn super short. Drop the height adjustment on your mower a few notches and give your lawn a military haircut. MAKE SURE TO HAVE A BAG ON YOUR MOWER. If you mow without a bag you will spread the fire like crazy. Bring out the Big Guns. Lowe's carries a product called MSMA. It is supposed to be the best. Apply it to your lawn as directed. The best time to apply it is between May and July. If it's well into August and you are desperate, give it a shot! MSMA is not an Eco-Friendly product which means it may be harmful to animals and children. Sand Burrs are tough which means you have got to use the best to get rid of them. Go on vacation and apply MSMA before you leave so it can do its thing while you, your family, and your dog are away. An Organic Week Killer some mention on this topic is Orange Oil. If you're insistent on going organic, that's a place to start. Fertilize. Remember how Sand Burrs don't do well with competition? Once you have finished the herbicide cycle, fertilize the heck out of your lawn. Applying it once then again in 7-14 days. Keep Mowing Consistently and Frequently. Mow religiously and you won't give those evil stickers a chance.